Dragon Quest 8 is a big game. Big in terms of how much content has been pressed onto the disc, in terms of how popular/hyped (insert appropriate word for your region) it was during release, and in terms of how much of a leap forward it is for the entire series. All in all, this is a frank and clear picture of everything that is right and wrong with this genre 20 years after Dragon Quest helped create it. There’s a lot of ground to cover here, so let’s cut the introductory B.S. and get right to it. Sometimes, when feeling contemplative, I like to stand high up on this mountain overlooking the forest and think about all of the deep issues this game’s plot doesn’t try to touch. My knowledge of jRPGs is more than a bit rusty, but as far as I know this is the first game in the genre to feature a large, fully realized overworld similar to ones found in MMO’s and games like Morrowind. I say it’s about damn time. I can understand the need for abstraction and a horrible sense of scale in a 2d game, but in the era of 3d I’ve never accepted the idea of having my character’s deformed little body be the same size as the town he was entering. At the same time, my first experience with Morrowind wasn’t necessarily better. So much brown, dull territory, and you never knew whether you were going to stumble into anything interesting. DQ8 falls into this problem itself; there’s just a ton of area to explore and discover, but most of the overworld is empty. You can trek across a huge portion of a continent and find nothing but a few treasure chests and some special monster battles. And yet I still consider DQ8 to be far more enjoyable to trek through than Morrowind. Part of it is due to a strong sense of scale. It’s large, but not mammoth. With the map at your side it’s hard to get lost, which gives the player far more incentive to stray from the beaten path. The other factor is developer Level 5’s prowess with Cel-shaded graphics. The world is meticulously crafted, with rivers and mountains, hills and plains coming together in such a natural way, so that no two regions look alike. Then you enter a town or a dungeon, and discover they each have their own layouts and motifs. Houses feel lived in, people move throughout the streets. DQ8 does a fine job of conveying the sense that this is a living, breathing world that looks and behaves like it should. I can’t count how any times I’ve stood at a watch tower or ran along the shoreline as the sun set and the whole world was basked in a rainbow of colors (while listening to Sugiyama’s solid, fully orchestrated soundtrack). I hardly tired of seeing Akira Toriyama’s distinct character designs come to life in each village (forget the DBZ games; this is his best 3d work). It is very hard to ignore such a crisp, beautiful world, and thus Dragon Quest 8’s graphical makeover isn’t just important from a presentation angle. 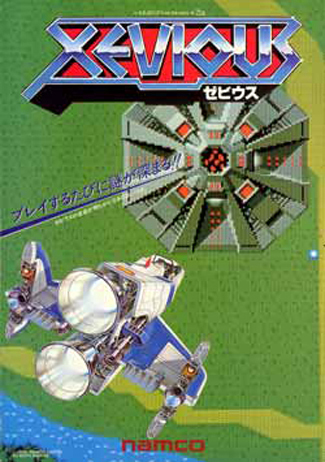 It also enhances the series’ great emphasis on exploration and adventure. On the other hand, while the presentation has been given a facelift, the gameplay is still classic Dragon Quest. Visit a town, and slowly but surely explore the surrounding area until you can reach and clear the dungeon. Find the next town and repeat the process. For jRPGs, this is literally the oldest equation in the book (unless you’re a Black Onyx fan like Jay :p), but that also means that it has had a long time to be refined and improved. Indeed, these battles can actually be fun, at least in the first half of the game. They finish quickly, spells and magic are effective (you can put them to sleep? No way! ), and smart tactics seem to perform better than brute force. Outfitting your party with the very best gear may take some extra diligence, but otherwise the famous Dragon Quest level grind has diminished greatly. Just explore every new region and fight every battle and you should find yourself at just the right level. The pacing and rhythm of the combat is impeccable, and I can only chalk this up to all the years of experience backing this game. There’s no power leveling, and no easy ways to completely break the system (unless you’re a genius with the alchemy pot, which is used to create new items by combining old ones). It stays fair and balanced throughout much of the game, and will even make you laugh. From puppeteers who confuse you with love stories, to Yangus’ Underpants dance to Jessica’s Puff Puff attack (. )( . 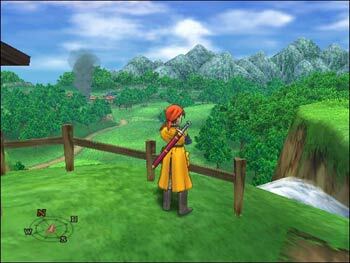 ), DQ8 is one of the most humorous and lighthearted games the genre’s seen in years. Its goal is to entertain, not just to give you something boring to do between cutscenes. Playing through this game now….. typical plot change ….. ohh boy…. I can feel it now. well talus, I don’t want to spoil anything for anyone (SPOILER ALERT anyway), but it was just after the Dark Ruins. You should remember what happened there. After that, things just got carried away. It gets better with post-game extra dungeons, which I’m playing now, but that’s most likely due to the fact that the story is pretty much over, and its all exploration. That, and you then have ample oppurtunity to get good gear and levels.